Why should I take a WellPregnancy training? When you train with me you have both the advantages of an international organization (CAPPA is the largest childbirth educator organization in the world) and my personal experience as a childbirth educator here in New England for twenty years. During a twenty-four hour childbirth educator training, we have time to cover relevant topics in detail. I offer an active Facebook group to support my students as they certify and beyond, and am available to personally mentor you as well. I am passionate about supporting my students as they learn to provide quality childbirth education and develop the business skill necessary to become successful small business owners. Why should I certify as a childbirth educator with CAPPA? I really recommend certifying with CAPPA. CAPPA certifies labor and postpartum doulas, childbirth and lactation educators, prenatal fitness instructors, and those who want to work with teens, so there’s lots of room to grow your skills and your business. 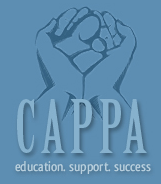 I’ve been on the CAPPA Faculty for 10 years now, and I am so impressed with how functional this organization is. Phone calls and emails get returned and everything just works. I am a doula, why should I train as a childbirth educator? I have trained many, many doulas who see how helpful a childbirth educator’s tools would be to them. All doulas are educators, but when you become a childbirth educator as well, you gain valuable additional skills. Being able to teach childbirth education classes to your doula clients means you get to spend additional (paid) time with them getting to know each other, and you know for sure that they had had quality cbe. Many doulas who have taken my training have said how helpful it is because they are doing less unpaid cbe on the fly prenatally and in labor for their clients who have taken cbe with them. When you advertise as a childbirth educator, you’ll get students who may also become your doula clients. Finally, you can earn twenty-four CEUs by attending a WellPregnancy training and you may qualify to certify on the accelerated track. I am a registered nurse, why should I train as a childbirth educator? Expanding your knowledge about childbirth education will give you useful skills in your work in labor and delivery, postpartum, and/or as you teach childbirth education classes. If you are considering applying to work as a perinatal nurse, being a trained or certified childbirth educator is a valuable credential. Finally, you can earn twenty-four CEUs by attending a WellPregnancy training and you may qualify to certify on the accelerated track. Is there an accelerated certification track? Yes, midwives, nurses, chiropractors, certified labor doulas, and experienced childbirth educators can apply to certify on the accelerated track by emailing our director at cccedirector@cappa.net. All students take a three day training, but the accelerated track has fewer additional certification requirements. I am a nursing student, can I take a WellPregnancy childbirth educator training? Training as a childbirth educator while you are still in school will give you the opportunity to expand your skill base and diversify your resume. WellPregnancy trainings are a great opportunity to learn more about the natural birth process, informed consent, and educator skills than students typically learn in nursing school. Do I have to have given birth/given birth vaginally/given birth naturally to become a childbirth educator? Do I have be of childbearing age/be female to become a childbirth educator? No! People with various backgrounds and experiences have become excellent childbirth educators. I have trained wonderful men and grandmothers, as well as women who have never given birth or who given birth in a wide variety of circumstances. Personally, I taught childbirth classes for three and a half years prior to giving birth to my older daughter. How can I get more information about your trainings? You’ll find lots of information at www.WellPregnancy.com. Please email me at Julie@WellPregnancy.com with any questions. Who takes a WellPregnancy childbirth educator training? Women who have had transformative birth experiences and want to pay it forward; women who have had difficult birth experiences and want to support other women in the childbearing year; chiropractors, massage therapists, and other professionals who want to better serve perinatal women; doulas, lactation consultants and childbirth educators who want to take their birth businesses to the next level; midwives, nurses, and nursing students who want to diversify their resumes and hone their skills; teachers who want to support and educate; and anyone who wants to learn more about providing education and support to pregnant and birthing women. You can learn more about some WellPregnancy students here: https://www.wellpregnancy.com/meet-students/. Where do professionals who have trained with WellPregnancy work? I have mentored hundreds of childbirth educators who now work in a variety of settings. Many run their own businesses while others work for hospitals, WIC, and other organizations. While many are active childbirth educators and doulas, others use the skills they learned at their training to enhance their work as midwives, labor nurses, lactation consultants, massage therapists, chiropractors, and administrators. I don’t have any medical background, can I become a childbirth educator? Yes! No medical background is required and many certified childbirth educators are not medical professionals. Are there additional certification requirements, in addition to attending the training? Yes, please see www.CAPPA.net for more information. Are there prerequisites to attend the training? Students who are certifying should plan to complete the pre-workshop study guide prior to the training.